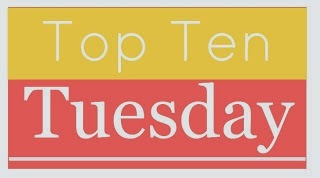 Top Ten Tuesday: List favorite books read in 2013. 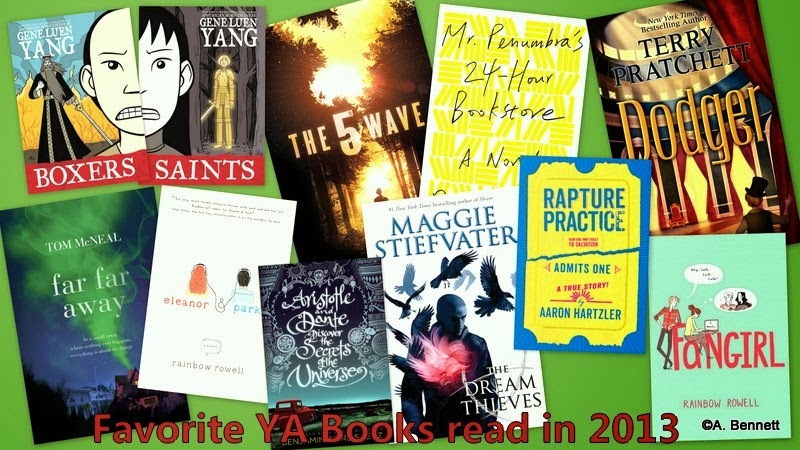 Here is The Scholastic List of Lists, the Best of 2013. Check out all the links. My favorite is the NPR list. 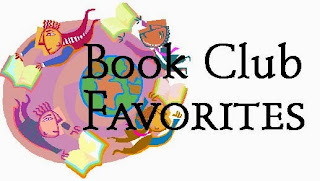 2013 Book Club favorites. I am in two book clubs. Out of the 20 books I read, here are my favorites. I am basing my decision on these criteria: readability, value to me (did I learn something new? ), and the discussion that the book generated. 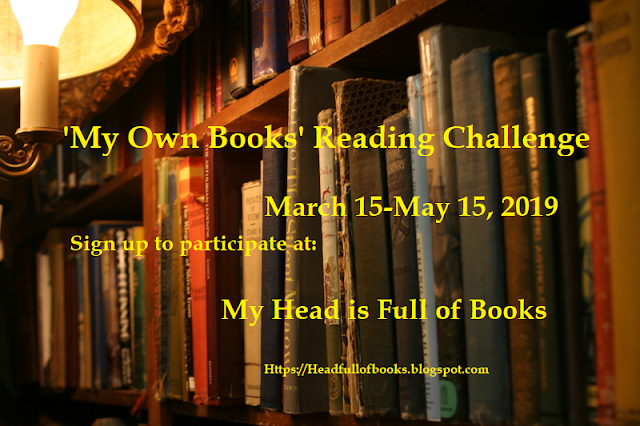 Please let me know the titles and authors of books you have used in your book clubs that meet these criteria. We are always looking for good discussion books. Thank you. My 2012 Book Club favorites are here. Click the link. My 2011 Book Club favorites are here. Click the link. My 2010 Book Club favorites are here. 3. Still Alice by Lisa Genova---Alice, a college professor has early onset Alzheimer's. We learned so much and had a fabulous discussion. I also liked: The Burgess Boys by Elizabeth Strout; A Sense of an Ending by Julian Barnes; Gone Girl by Gillian Flynn; and Physick Book of Deliverance Dane by Katherine Howe. 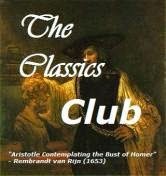 Since I am in two book clubs some years one club will select a book I've read in previous years with my other club. If that is the case I did not list those books here. Look at my list from previous year favorites for information about Sarah's Key by De Rosnay, The Elegance of the Hedgehog by Barbery, and Half-Broke Horses by Jannette Walls. Please let me know titles of your favorite book club selections this past year. I'm always on the hunt for good discussion books. I received two new books for Christmas this year. The only problem: I still haven't read the three books I received for Christmas last year, nor have I read the two books loaned to me by friends, or touched the books I "had" to buy, or cracked open the A.R. copy of a book that is now in print. It is time to deal with the books on my beside table. "Deal with" means I may or may not read these books but by the end of 2014 none of these books will be on my bedside table. I may decide to shelf them with other books on the book shelves; I may decide to give them back unread; I may return them to the library half finished. I don't know exactly what I will do with them right now, but I am committed to dealing with them all. Join me in cleaning off your bedside table of the books that have been languishing there for months or years. Commit to dealing with them in 2014. All you have to do is take a picture of your bedside table as it it looks right now. Publish it to your blog or Facebook page and give me the link in the comment section so I can take a look at it. Don't make this challenge into another guilt trip. Make it one that will actually help destress your reading experience in 2014. 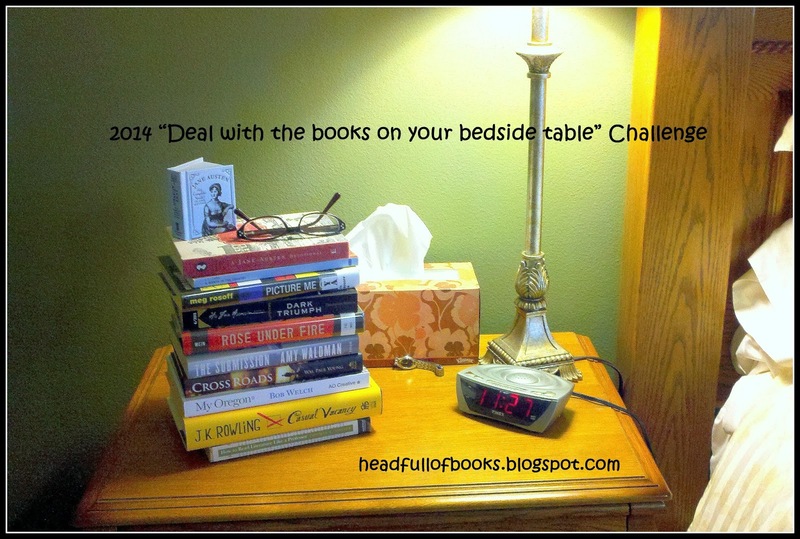 Deal with the books on your bedside table in 2014! Weather: Icky. Rainy and foggy. It feels like we are living in a cloud. Ugh. Yesterday: Our daughter's Christmas present to her father were tickets to see (and hear) the Seattle Symphony and choir perform Handel's Messiah. It was the very first time that I heard the whole program in a concert. It was lovely. I felt like crying during the Hallelujah Chorus just because I've know this masterpiece my whole life but never actually been in a hall when everyone stood for it. Funny moment: When we got home from Seattle the family sat in the living room, the girls played with the dog, and my husband picked up my daughter's long knit scarf which she had tied into a circle. My husband started playing cats cradle with it, the girls continued with the game for three moves. It was one of those funny moments that I know will live in my memory forever. "Are you excited for Christmas? ", a student asked: I told her that I was a mother so I'm not sure if I get excited by Christmas or just exhausted by it. The last day of school before Winter Break was Friday so I certainly haven't had a feeling of being done with all my preparation tasks for Christmas, yet. Yesterday Don did help me wrap presents, so that big task is almost done. I still want to make a few Christmas cookies, spritz and gingerbread; shop for groceries; and find a few more stocking-stuffers. Pneumonia: my youngest daughter came home from college with pneumonia. She is not running a fever, but definitely rattlely lungs and feels puny. Inventory over 95% complete: As part of the library system "crash" and the loss of data of student accounts, the district required that we complete a library and textbook inventory as quickly as possible. A team of five people came to my school on Thursday and helped up scan all our books. We discovered that the recovery process duplicated several records at two or more schools. That mess will have to be cleaned up by the district. I am feeling much better now that this task is nearly done. 4th Sunday of advent: today the church service focused on the three wise men and what compelled them to seek the Christ child. Scripture: Matt. 2:1-12. From the kitchen: The best chocolate cake ever. I made it for my daughter's 22nd birthday. The frosting, however, was so thick we renamed it fudge. Reading funk: I did finish the graphic novel, Saints by Gene Yang, but didn't finish anything else this week. I am in a bit of reading funk right now. Perhaps all the stress I have experienced at work, compounded by the holidays and other family commitments, has really cut into my desire for reading. I did reach my weekly goal on Lacuna by completing 13 of the 16 CDs. September Girls is still unfinished and may remain that way. Funny video of the week: My daughter really wants a Roomba (Robot vacuum) for Christmas. She and I were talking about it while looking at the internet and found this funny video of a cat, dressed in a blue alien outfit, riding a roomba around the room. We both think it is so funny, especially when the dog entered the scene. He is also wearing an alien outfit. Enjoy. Weather: Light overcast with occasional sprinkles. It was actually warm here today, around 50 degrees, 20 degrees warmer than last Sunday. Friday night: We had a party for women of the church only. We ate, read a Christmas story, and shared holiday memories. It was a very touching and memorable evening. Our choir director singing O Thou that Tellest Good Tidings to Zion during service at Mineral Presbyterian. Third Sunday of Advent: today the candles were lit for peace, hope, and joy. Our choir director sang a lovely solo: "O Thou that Tellest Good Tidings to Zion" from Handel's Messiah. Cue up the YouTube video of the music and have a listen as you read the rest of this blogpost. So lovely. Erin did a beautiful job. This afternoon: Our whole church choir drove up to a tiny church, Mineral Presbyterian, near Mt. Rainier and conducted a music program for them. This tiny church always makes me feel like I am in a Currier and Ives postcard, definitely a throwback to a bygone era. Usually there is snow but there was none today. Boxers by Gene Luen Yang...a graphic novel about the Boxer Revolution in China in the late 1800s. Yang is a very talented artist and storyteller. I'll be shocked if this book and its companion, Saints, don't win all kinds of awards this January. Saints by Gene Luen Yang...the companion book to Boxer because every war has too sides. Lacuna by Barbara Kingsolver...I accomplished my weekly goal which was to get at least half finished with the audiobook, which is 8 discs. From the kitchen: Gingerbread cookies and Mint Meringue Cookies for the church events. 5:30 AM- Alarm wakes me.Time to rise. Husband is out of town, I will have to care for the animals before I leave. Look outside. Sure enough, it snowed but not enough to delay school. It is ugly sweater day at school. which of my ugly sweaters should I wear? 7:02 AM- Arrive at work two minutes late. Folks in the Pacific NW do not know how to drive on snow, including me. Fifteen students are waiting for me to open the library doors. 7:02.30 AM-Students asks me to renew a book. I haven't even had time to turn on my computer or unlock the doors. I'm alone again today. My clerk has been gone since September 24. She has had a sub for a few of those days but not many and not today. 7:16 AM- Some numbskull pulls the fire alarm. About forty students in the library at the time. We all tromp outside using the back stairs to stand in the frigid weather until we figure out it is safe to go back in to the building. 7:35 AM-All clear. We march back in to the building and straight to classes. I worry about students who never got their breakfast because of the fire alarm. Was anything done for them? 7:40 AM- A class of freshman come to the library to work on a classroom-based-assessment related to minimum wage. I help get the class settled then excuse myself to run down to the office to drop off books going out in the courier and to pick up items in my mailbox. While I am gone from the library a teacher hunts me down because she is having a technology problem. How long was I gone? Two minutes? 7:45-10:35 AM-Two more classes on the same topic. Help teacher with minimum wage project. Discuss the life of Nelson Mandela with him. Look up information on the Sharpsville Massacre. It was news to both of us that 69 people were gunned down in South Africa on March 31, 1960 as they attempted a peaceful protest. During this time I make innumerable trips to the textbook room to get books for newly enrolled students or others who haven't picked up their books yet. It is December folks! Why don't you have your books already? 10:00 AM- A teacher asks me for a copy of something I sent her several weeks ago, making me feel guilty for not sending it to her in the first place. When I pull up the original e-mail I see her name in the TO column. Guess I did send it to her after all. Snarky me. 10:35-12:00-Lunch periods. In between supervising the library, making sure that the puzzle isn't being messed up, checking in/out books, I attempt to catalog the last of the books prepared while the system was down. Eat a peanut butter sandwich sitting at my station. Break up "cuddling" couple, twice. Hope a teacher comes by so I can run to the restroom while he/she sits in for me for a minute. 11:30 AM-A class comes in to check out the novel: Bless Me Ultima. I discover that the library system is not functioning, again. I move over and start circulation on the remote system. Egads! Not again! 11:45 AM- Go to my back office to start the coffee pot. While I am standing there I notice that I still have a schedule for tentative meeting dates in 2007/08 on my bulletin board. Yank that down. Cute, artsy postcard underneath that was hidden for six years. 12:00 PM-Check in a bunch of library books remotely. Hope that I am doing everything right or more messes. Talk to a teacher about library "crash" and the subsequent issues. 12:15 PM- Unjam the copy machine. Attempt inventory. Oh yes, the system is down. Won't work. Shelf books instead. Sip on what is now cold coffee. 12:30 PM- Sort through the computer cart on wheels (COW) to make sure that all computers are off and plugged in. Think unkind thoughts about teacher who left it for me to do instead of doing it himself. Found that one of the plugs had come undone. Practically had to climb inside the COW to figure it out, though. 1:00 PM-Tidy the library. The library is very popular and heavily used during the day, especially before school and during lunches. Chairs are all over the place. Find books stashed in random locations. One is a guitar book. Another is a book with a picture of an almost naked person on the front. Kids will be kids! The huge Visual Dictionary is once again off the shelf. This is now the book of choice to pull from the shelf and to leave lying around since I've hidden the Slang Dictionary. Pick at Navy Sticker which somebody stuck onto a table. Bet that is not what the recruiters had in mind when they gave it to a kid. Try to think calm thoughts. 1:05 PM- Sociology class arrives in the library without their teacher. Most get to work on their project without too much prompting. 1:18 PM- The teacher finally arrives. 1:29 PM- Peek outside. Temperatures must be rising because snow is gone and ice is melting. It is never winterish for long in the Pac NW. 1:38 PM- Discuss Thanksgivingkah with students after admiring some very hideous sweaters. Decide if dictionary definitions are considered common knowledge or not, requiring a citation or not. 1:45 PM- Sort moldy textbooks out of a pile of textbooks needing attention. Wonder if librarians in Arizona have a problem with moldy books like we do. Chuckle to self thinking back on the conversation I had with student when I told her that the hot chocolate she spilled all over her book meant full replacement fines. "Why", she asked? "Because it is sticky, stinky, and mold," I say. "Oh." As if it isn't obvious! 1:55 PM- Start the close down procedures. Kids are antsy for day to end. so am I. 2:00-3:00 PM- Work on more library tasks. Tidy back room; repair a few textbooks that have ripped pages; attempt to make a replacement barcode (it doesn't scan, drat! ); answer e-mails; assist two teachers. Talk to student about Rainbow Rowell. 3:11 PM- Lock up library. Stretch. I am in perpetual motion today. Time to go home. Tomorrow morning: get up and do it all again. Sigh. PS- On my way out of the library I am pleased to see that the Pacific Islander students are practicing the hula on our mezzanine level. Below them the cheerleaders were busy building some human pyramid. I really do like my job and working with kids. Weather: cold and clear. Our family to the south (Oregon) have snow. Will that storm make it this far north? Yesterday: we put up our new Christmas tree which we purchased because our old one was too big. After we got it up my husband checked the old box and the new tree is exactly the same height as the last. Ha! I decorated it with all the Raggedy Anne ornaments my sister has been giving me for thirty years. Pretty cute, huh? Friday: we attended the Seattle University choir concert at St Joseph's Church in Seattle. We look forward to this concert as the start to each holiday season. Since our daughter is a senior this may be our last time attending. Sigh. I am listening to the CD of their Christmas program from several years ago right now. My favorite song is Angels We Have Heard on High because the girls in the balcony sing the chorus and another group of girls in the transept sing the echo. Lovely. This past week in the library: I was alone again. My help from the previous weeks had to go to another school as their substitute librarian. I worked all week on trying to straighten out accounts and only just touched a tiny portion of the problems. I did add new books to the system, though. I had these books all ready to go except for adding the barcode into the system when it came back up. My Mock Printz team seems back on track which feels good. This coming week: I have two meetings, one Christmas band concert, and two Christmas parties to attend. The season has begun. 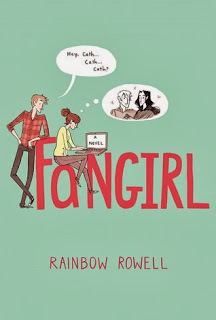 Fangirl by Rainbow Rowell---one of those books I didn't want to finish, where I want the characters as my friends. Please read my review here. Lacuna by Barbara Kingsolver---I am listening to the audiobook which has over 20 hours of listening on 16 CDs. this will be my second longest audiobook. It may take me a month to finish! September Girls by Bennett Madison---one reviewer said this was on her short list of books to win the Printz this year. Thought I'd better check it out. 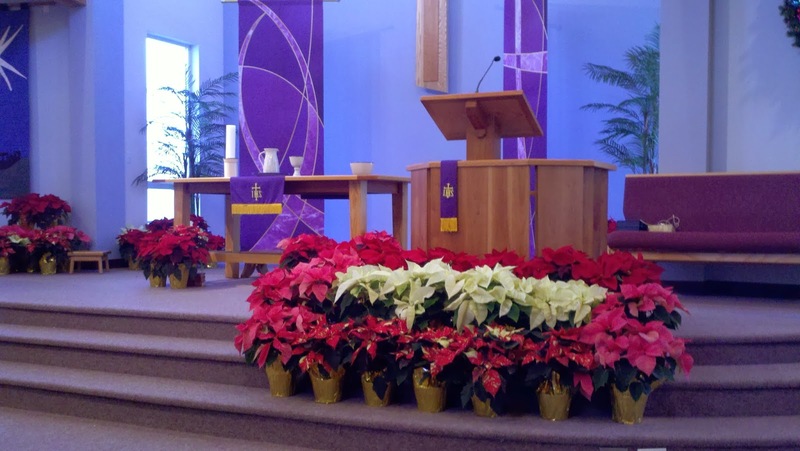 Second Sunday of Advent: Today's sermon topic was the immaculate conception and Mary's willingness to do the will of God. The photo shows our sanctuary just prior to the service. Isn't it lovely and serene? I'm praying for: two friends who have husbands ill with cancer; one nearing the end of his life, the other just making decisions about his treatment options. From the kitchen: Chocolate crinkle cookies. A new, delicious recipe. This past week Goodreads announced its 2013 Best Books winners in a variety of categories. 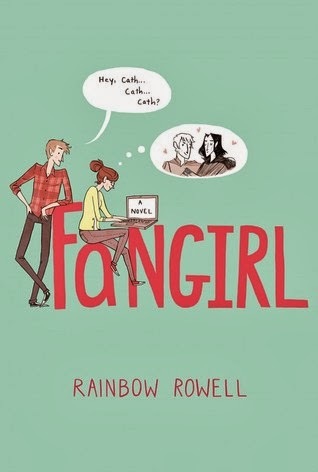 Fangirl by Rainbow Rowell was number two in the Young Adult Fiction category. It was second only to Eleanor and Park, also by Rainbow Rowell! Both books could be categorized as teen romances but they are so much more. Unlike most teen romances there are meaningful plot lines and the characters are fully developed. In Fangirl twins Cather and Wren Avery leave for college together but will not be roommates, much to Cather's hurt dismay. Can she make it without her twin by her side? They reluctantly leave behind a father who has bipolar disorder. Their mother left them all when the girls were young. Her roommate, Reagan, is older and always seems grumpy or gruff. Her boyfriend, Levi, is always around, too. This makes it very hard for Cath to feel settled in her room. When Wren and Cath were younger they both wrote fan fiction for the Simon Snow series on fanfics.net. At some point Wren seemed to grow out of it but not Cather. Her fanfics page, Carry On, Simon has grown in popularity over the years and she attempts to write something on it every day. She also hopes to become a writer some day and is enrolled in a fiction writing class which usually is only open to upperclassmen. The final assignment for the class is to write an original short story. But all Cath wants to write, thinks she can write is Simon Snow stories. Can she break away from the fandom long enough to write something else? As the story unfolds we are not only involved with Cath and her first year of college, we are introduced to Simon Snow through excerpts from the original books or portions of chapters written by Cath for Carry On, Simon. In a lot of ways the action in these stories correlates to action in Cath's life. As Simon Snow falls in love, so does Cath. As he fights demons (hum-drums) Cath is forced to face demons in her life, also. I decided to write this book after reading a lot (I mean, a lot) of fanfiction. Reading fic was a transformative experience for me---it changed the way I think about writing and storytelling, and it helped me more deeply understand my own intense relationships with fictional worlds and characters. She even thanks fanfiction writers for their contributions. I didn't even know there were fanfiction worlds out there on the web until a few years ago, having grown up in the days before the Internet was invented, but I have students who tell me that they enjoy writing and reading fanfic. What a fun way to extend favorite stories and tell the stories beyond the end of books. I read Eleanor and Park earlier this year and felt sure that it was and would be the finest book written in 2013 but it has serious competition with Fangirl. Rowell is a wordsmith for sure. She knows how to put sentences together in such a way to make me shiver with delight. Reading the book was sheer delight from beginning to end. When I closed the book on the last page I wanted to jump up and start a fanfiction page on Fangirl. I want the lives of Cath, Wren, Reagan, and Levi to extend beyond the end of the book. I want their stories to go on and I want to be a part of those lives. Thank you, Rainbow Rowell, for your exquisite books and memorable characters. I think I will close this blog now and go back and reread a few of my favorite passages. 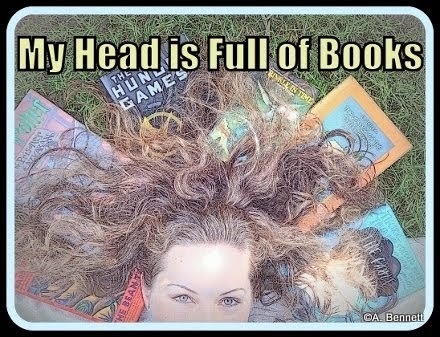 I am a fangirl of your books. If you have read Fangirl and/or Eleanor and Park, please leave a note of what you thought of them. If not, I encourage you to drop everything and pick one of them up today!